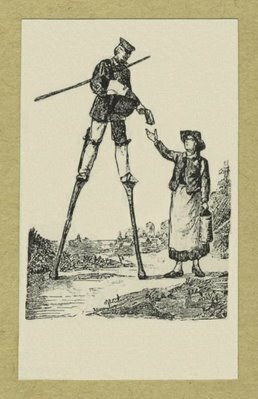 Just looking at old-fashioned stilts. I don't want to use them on the feet. I'm actually going to make crutch type things. Well, a combination of crutches and stilts.